The online ordering service is powered by BlueSnap, Inc. (located in California) that uses the highest level of encryption throughout the entire order and setup processes, from all order pages, through the storage of customer information, and credit card processing which is done by Wells Fargo, one of the largest and most trusted financial institutions. You can pay via credit card, PayPal, wire transfer, phone, fax, mail, check or money order. 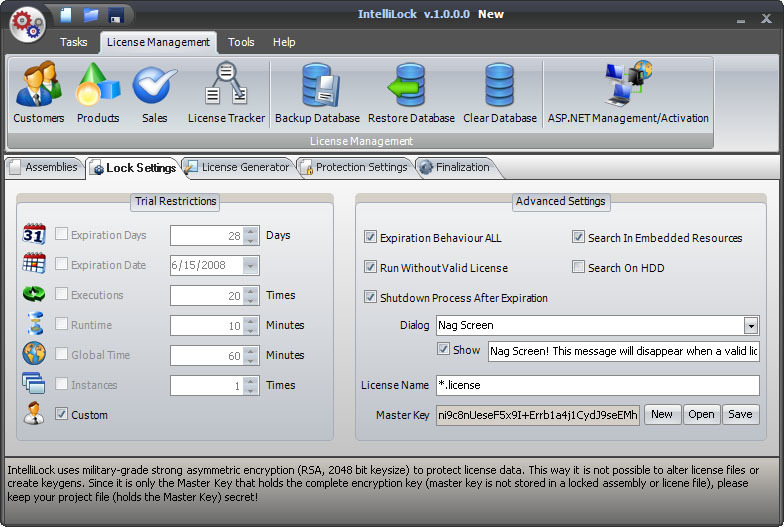 You can order the fully licensed version of .NET Reactor / IntelliLock at any time over the internet via BlueSnap. After you purchased a license, you'll receive your license file. Please put this license file into the main directory of .NET Reactor / IntelliLock. After the next restart .NET Reactor / IntelliLock is unlocked.